Lilacs are works of art all on their own, but within these pages are art derived from the palette of beauty that is unique to lilacs. The lilacs are identified, but I doubt you will be able to match these images with the lilacs you see. 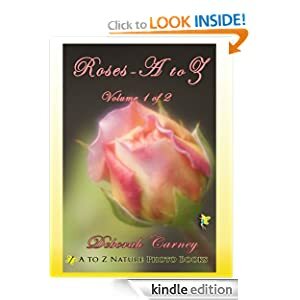 A set of books that identify full color images of roses. Due to the size of the completed books, we have broken Roses A to Z into two books, varieties that start with A through L and M through Z. All identifications were made from tags attached to or near the rose bushes as they were photographed. Any bush without a tag is not included in this book and most were double checked against other sources. 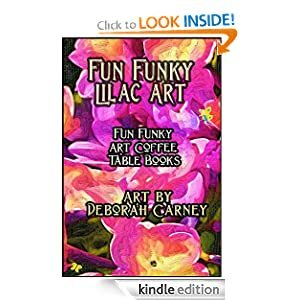 We hope you enjoy this Coffee Table book that fits on your Kindle and brings a breath of Spring into your day. Best viewed on Kindle color apps, or Kindle Fire, but still looks good in Black and White. 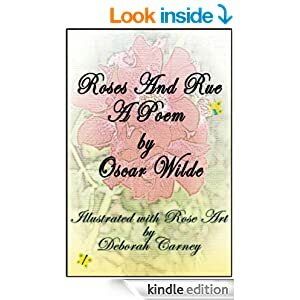 Artist Deborah Carney combines art of roses with the poetry of Oscar Wilde to create a beautiful new version of an old classic. 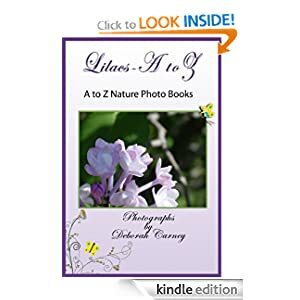 Lilacs A to E (Lilacs A – Z Series) (Deborah Carney) A series of books that identify full color images of Lilacs. All images are correctly identified from tags that were attached to the bushes at the time they were photographed. Due to the size of the completed books, we have broken Lilacs A to Z into four books, varieties that start with A through E, F through L, M through Q, and R through Z.
Valentine Quotes and Love Poems (Elise Beckett) Valentine’s Day Love quotes and sayings combined with images of romance, sweets and flowers for your sweetheart on valentine’s day. 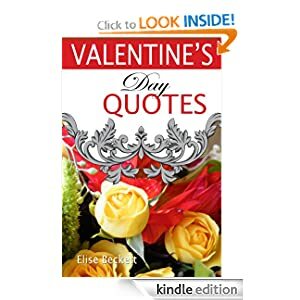 This book of love quotes and poems from Elizabeth Barrett Browning, William Shakespeare and others is like whispering sweet nothings into your lovers ear. 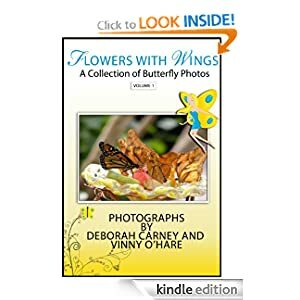 Flowers With Wings (Deborah Carney, Vinny O’Hare) Butterflies identified and combined with inspirational quotes.